Rylie’s been bitten. She’s changing. And now she has three months to find a cure before becoming a werewolf…forever. Rylie Gresham has been attacked by a wild animal at summer camp. She survived with something far worse than normal injuries. Animals fear her, she’s craving raw flesh, and her anger is uncontrollable. Mysterious Seth Wilder knows a lot about werewolves. He thinks he might be able to fix Rylie. His secrets might be far more dangerous than the change Rylie’s facing, but she has no choice but to trust him. After all, if she doesn’t figure out a way to stop the transformation, then at the end of summer, she’ll be a monster. Empty buses idled in the parking lot at the bottom of Gray Mountain. Almost everyone had arrived for the first day of camp an hour ago, but one girl came in her own car. “This is it,” announced Rylie’s dad. “Camp Silver Brook.” He tried to sound upbeat. Rylie could tell he was faking it. She glared at the camp’s entrance. The footpath was marked by a tall sign carved out of a tree, but she couldn’t see any cabins from the parking lot. Dense trees prevented sunlight from reaching the ground even though the day was sunny, so the forest looked dreary and dark. Three months of this: dirt, pine needles, and having to share a cabin with strangers. “Thanks for the ride, Dad.” Rylie didn’t pretend to sound happy. Missing the bus hadn’t been an accident. “Come on, it’s not that bad. Aren’t you excited? You can ride horses and go in a canoe and take lots of hikes.” Her dad got to the trunk before she could pick up her bag. “Let me walk you in,” he said. She rolled her eyes but didn’t argue. They walked up the trail together, backpack slung over his shoulder and her gaze fixed on her pristine leather hiking boots. Rylie’s mom said the shoes were a going away present for the summer, but she knew they were actually an apology for the divorce. The buses pulled away by the time Rylie and her dad reached the top of the hill, leaving their car alone at the bottom. After living in the city for so long, the forest seemed too quiet. Her footsteps echoed against the slopes of the mountain and her breath was loud in her ears, although it might have been the asthma making her wheeze. Rylie touched her pocket to reassure herself that the inhaler was there. She was probably allergic to everything in the woods. It was a long walk up the trail on Gray Mountain. Rylie’s dad wasn’t in good shape, and he was struggling within minutes. “Look, Rylie,” he panted, and she recognized the beginning of another apology. She didn’t reply. What was there to say? It wouldn’t be better in August. It would never be better unless she could go back to a house with her mom and her dad. A house where they didn’t yell all the time. A house where they didn’t get rid of their daughter so their lawyers could fight in peace. “Thanks,” she told the ground. “Uh… I might have forgotten,” he said. Hope swelled within her. Maybe he hadn’t finished Rylie’s enrollment and she wouldn’t be able to stay. She could walk back down the hill, get in the car, go home, and pretend this camp thing didn’t almost happen. And all hope was gone. “Sure!” he boomed. “Good day for a hike!” Rylie could have withered and died on the spot. Rylie trailed behind the girls in Group B. They all wore short-shorts and fake tans. One had a gold chain around her ankle with a single diamond, and Rylie glimpsed perfect white teeth when she talked. Many of the people in Group B were from Rylie’s city, but they went to the private school, May Allan. Rylie’s parents would have sent her there if it wasn’t so far from home. Seeing her potential classmates made her glad. Rylie was the richest kid at school, but she would have been nothing at May Allan. It was a long hike to the girls’ cabins, and Rylie was worried her dad would have a heart attack before they made it. Louise set a fast pace to catch up with the other groups. He barely managed to keep up. “I could just go home with you, dad,” Rylie said in a last-ditch effort to escape. She sat on one of the benches, smoothing her hair down with her hands. There was already a canoe out on the lake. Rylie could just make out more cabins on the other shore—probably the boys’ camp. She had read about Camp Golden Lake in the brochure. The boys and girls weren’t allowed to hang out at all. Rylie studied the rest of her surroundings from the bench, digging the toes of her hiking boots into the dirt. The common area was unremarkable. They had cut down trees to make seats around an amphitheater with a fire pit in the middle. Rylie could see the recreation hall and the dining room, and paths leading to cabins elsewhere in the camp. It was oppressively quiet, like she was the only thing alive in the woods. What in the world was there to do in a forest for three months? Walk around? Look at trees? Commune with the stupid deer? At least in the city, there were libraries and coffee shops. There was nothing like that here. Rylie wasn’t even sure there were showers. A splashing sound drew her attention back to the lake. The canoe had drawn close to her side of the shore. Rylie shielded her eyes to look at the person sitting inside. It was a boy. He was probably her age, or maybe a little older, judging by the breadth of his shoulders. His arms were dark tan, like he had already been camping for months, and he was looking right at her. Rylie chewed her bottom lip. One of the guys from Golden Lake? He was going to get in trouble if he was caught so close to their shore. She raised a hand to wave at him. After a moment, he waved back. “I can find it myself,” Rylie started to say, but her dad looked sad. She rolled her eyes. “Yeah, sure. Show me.” Glancing back at the lake, she saw the canoe had moved on. The boy was gone. The cabins for Group B were laid out in a rough circle around another fire pit. A few girls were trying to get a fire going, carrying wood up the path and piling pine needles between the rocks. The sun was still high, but Rylie could tell sunset would fall quickly in the mountains. “I really think I can handle it,” Rylie said. “You could let me go home,” she whispered, but he didn’t hear. He hesitated at the mouth of camp. “Love you, pumpkin,” he called. Someone near the fire giggled. Rylie slung her backpack over her shoulder. “Love you too, dad.” She didn’t wait for him to leave. She couldn’t stand to see the other girls whispering. It was going to be a very long three months. Rylie managed to skip orientation by telling Louise that she was sick. Once she was alone, Rylie pulled out her diary and opened it to the first blank page. Dear diary, she wrote. I hate my life. Rylie considered the words with a frown, chewing on her pen cap. Camp could be interesting, I guess. Maybe if I see it as a learning thing instead of a punishment for the divorce…? She dropped her pen. Why fake optimism? Stretching her cell phone over her head, she searched for reception in the cabin’s tiny loft. No bars. She wouldn’t even be able to text her friends back home. Rylie flung her phone to the bed and tried not to let frustration choke her. “I can’t believe this,” she told the empty room. Rylie hid from a few campfire sing-alongs and hikes in the first week, but after begging illness for a few days, Louise forced her to go to the infirmary. She tried to fake a cough. The nurse wasn’t fooled. The nurse gave her a look which obviously meant nice try, and Rylie was back in her cabin the next morning. She didn’t mind sleeping on a tiny cot in the loft. (All the other beds were taken by the time she got there.) She did, however, mind having to share her living space with a bunch of teenage girls. Rylie’s friends back home were mostly guys, since all the girls she knew were catty and stupid. And these ones hated Rylie for no reason at all. They shot nasty looks at her before going to the morning activities, and they didn’t talk when they saw her in the evenings. Her roommates avoided her during the day and treated her like an alien when Louise forced them to interact. Dinners were the worst. The cooks offered some kind of meat product slathered in gravy on most nights, and just looking at it made her queasy. Rylie had been a vegetarian ever since she learned how animals were butchered in the seventh grade. “Tofu?” asked the man in the hairnet behind the counter. “You want tofu?” Which meant, of course, they didn’t have it. She sat down to eat her carrot sticks, trying to imagine herself anywhere but the mess hall: maybe watching a movie at the second-run theater on thirty-second street, writing a journal entry on a park bench, or reading a book at the coffee shop on the corner. Rylie closed her eyes and let her imagination carry her away. There were no moths fluttering around the lights and no mosquitoes. Only percolating coffee and an indie guitarist in the corner. Maybe a cute guy at the next table. She could sip a mug of chai tea and drift away on guitar melodies. “Where is she from?” whispered a girl at the table behind her, stirring Rylie from her fantasies. She was loud enough for everyone to hear. It had to be deliberate. Rylie’s cheeks flamed as she touched her white-blonde hair. Even though she always thought it was too pale for her face, she had never heard anyone talk about her like that before. A rope of embarrassment twisted in her stomach. She dumped her remaining food into a trash can and hurried back to camp. Sunset cast long shadows over the path. Rylie wanted to be back in bed before it got dark so she could hide from the night’s campfire activities. The cabin’s lights were already on, and the sounds of laughter poured out the window. Rylie pushed the door open. Rylie recognized those words. She had written them herself. The contents of her backpack were spread across the room as her roommates pawed through them. Patricia held out her diary so everyone could see it. None of them had noticed Rylie yet. The girl with the gold anklet looked up. Amber. She was holding a pair of Rylie’s shorts in one hand and Byron the Destructor, her favorite stuffed cat, in the other. “We noticed you hadn’t unpacked yet. We were just… helping,” she said before bursting into giggles. The other girls followed suit. Rylie stared at them. Her embarrassment in the mess was nothing in comparison to the numbness spreading through her now. “Nice teddy bear,” said Kim before dissolving into snickers. She ripped the backpack off the bed. They had gone through everything—even her underwear. Rylie snatched her diary out of Patricia’s hands. Eyes stinging, Rylie backed up until she hit the door. Why were they laughing? What was so funny? “Of course,” she whispered hoarsely. Helping. Rylie flew out of the cabin and passed Louise, who was setting pokers and marshmallows on a table by the fire. She ran without looking where she was going. She passed a line of people heading back from the dining hall, and she knew they could all see her crying. Everyone would know what Patricia and Amber did to her. The teasing would only get worse. Rylie had to stop by the office on the shore of the glistening lake. Her chest felt constricted and she wheezed with every breath. She fumbled for her inhaler and tried to let all the air out of her lungs, but it took a few tries before she could calm down enough to breathe at all. She sucked down the medication. Wheezed again. Took another puff. Slowly, her air passage relaxed. “How could they do this to me?” Rylie rasped, fist clutched around her inhaler. “I hate them. I hate them.” The full moon’s reflection blurred in the water. It was laughing at her too, just like everyone else at the camp. She couldn’t stand to be there a minute longer. Rylie threw her backpack onto her shoulder and plunged into the forest. She didn’t know how long she walked. The trail grew thinner and twistier. She stumbled over a log in her path and the bark scraped her shin. Blinded by tears, Rylie pushed on. She didn’t know if it was the way back to the parking lot, but it didn’t matter since she didn’t have a way home. She needed to get away. The trees grew so close together that she had to climb over them to keep going. Occasionally, she glimpsed the full moon between the branches, but she could always feel it watching her. At long last, Rylie came to a cluster of trees she couldn’t pass. Too tired to find a way around them, she flung herself onto a mossy boulder to rest. Her racing heart gradually slowed. All the fury and embarrassment drained out of her, leaving only a small, burning coal of shame in the pit of her belly. None of this had been in Rylie’s plans. She wanted to go to a summer concert series at the park by her house. She planned on seeing a new exhibit at the art museum, too. Maybe it wasn’t glamorous, but that was how she liked to have fun: on her own in the city, or with a couple friends from school. Not surrounded by harpies at camp. Of course, now Rylie wasn’t surrounded by anyone. She had gotten her wish. She was alone. Rylie looked around from her perch on the boulder, but there was no sign of a path now, much less humanity. She didn’t even have any light. Fear trickled in at the edges of her mind. She had no maps, no compass, or anything else to help her get around. Rylie pulled out her cell phone. Still no reception. The GPS didn’t even work. Something rustled in the bushes nearby. She froze. She lifted her cell phone to illuminate her surroundings with the screen. It cast stark shadows on the bushes and trees, but it was too dim to see further than a couple feet. The soft, rhythmic sound of feet against pine needles whispered around her. “Who’s there?” she called. Fear made her throat tighten again, and she gripped her inhaler. Rylie crept around a tree, peering into the darkness. Maybe it was a deer or something. “If that’s you, Amber, you better hope I don’t find you. I’ll—I’ll beat you up!” She sounded much braver than she felt. A bush shook behind her. Rylie turned, but nothing was there. Her breathing roared in her ears like an ocean tide. The entire forest was silent and eerie, as though everything living had vanished. Even the moon was gone now. Picking a random direction, Rylie started walking, keeping an uneasy eye on the trees around her. She wished she had a flashlight. Even better, she wished for a helicopter so she could fly off the mountain. She eased around a thick tree. A pair of golden lights flashed in front of her. Rylie jumped backward, but the lights disappeared instantly. She froze. Her heart pounded. The eyes had been low to the ground, more like an animal than a human. She could hear it rustling amongst the foliage. Lifting her cell phone a little higher, she stared around for another glimpse of eyes. A twig cracked like a gunshot. Rylie gasped and spun, and her inhaler dropped from her hands. She bent down to search for it, but her fingers only found dirt and pine needles. Her heart pounded. Her lungs started to ache. Something growled, and Rylie decided she didn’t care about her inhaler anymore. A hulking gray body flashed in front of her. She jerked back and her heel caught a low rock. Rylie lost her footing. Her cell phone flew from her grip. The back popped off, the battery dislodged, and all light vanished. She hit the ground. Something heavy, hot, and furry struck her body. Pain ripped across Rylie’s chest. She screamed into the night, but nobody was there to hear her. 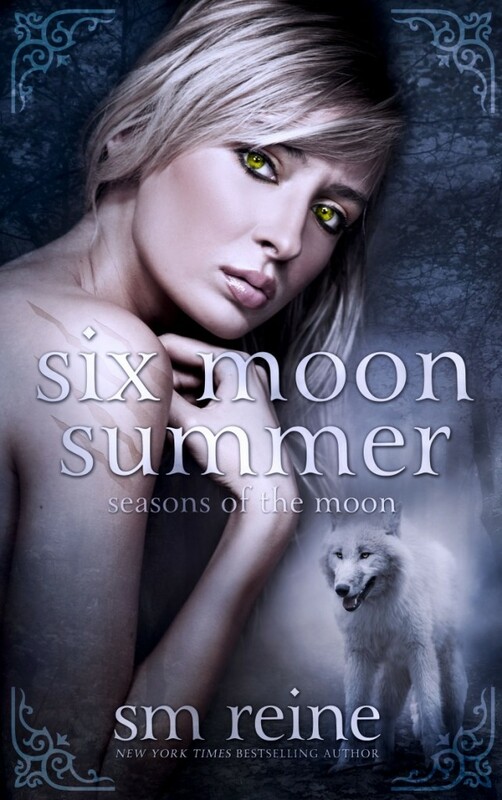 Six Moon Summer was originally planned to be a standalone novel rather than a series. 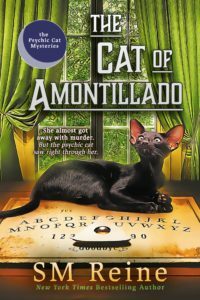 I only wrote more when readers demanded a sequel. 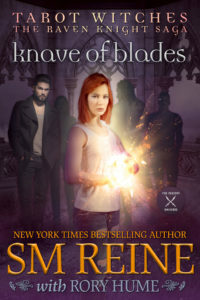 Though I published this book during the heat of Twilight mania, and it's been described as similar to Twilight, Six Moon Summer was actually inspired by a desire to have Christopher Pike books with more romance. In early drafts, Seth was named Cain and was a character more similar to his brother Abel. Early drafts also featured either (or both) Seth and Rylie dying via suicide.